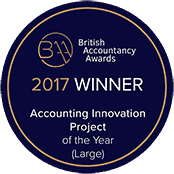 Escalate, the ground-breaking commercial dispute resolution process for SMEs, has been named ‘Innovation of the Year’ at this year’s British Accountancy Awards. Chris Clay, one of the architects of the Escalate process, said: “Winning one of the most hotly contested categories in our industry’s most prestigious awards is a major achievement. “Escalate was developed to be a game-changer that will transform how commercial disputes are resolved; this award demonstrates that the wider market has taken notice and also realised its potential. “We’re extremely proud of what Escalate has achieved since its launch at the start of the year. 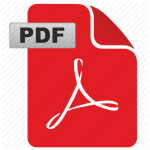 Recent research from the Federation of Small Businesses suggests there were at least 3.4 million commercial disputes involving SMEs between 2010 and 2015. This represents a significant cost and cash flow constraint to the SME sector and can sometimes be the reason why businesses fail.